A VISIT TO ADAMSON HOUSE and Malibu Lagoon Museum opens the door to layer upon layer of intriguing Malibu history. 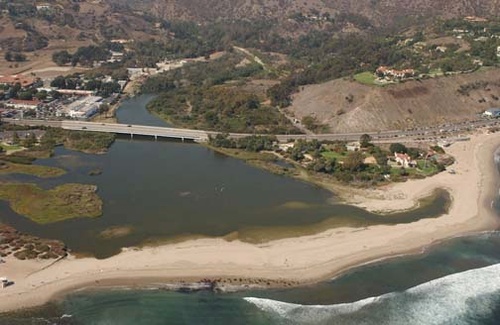 The enchanted site, where Malibu Creek meets the Pacific Ocean, was once home to the Chumash Indians, who thrived there until the late 18th century. Later, the Rindge family owned 17,000 acres and 20 miles of coastline. The Rindge family’s daughter, Rhoda, and her husband, Merritt Huntley Adamson, used the site to construct a beach house, now the historic Adamson House museum. 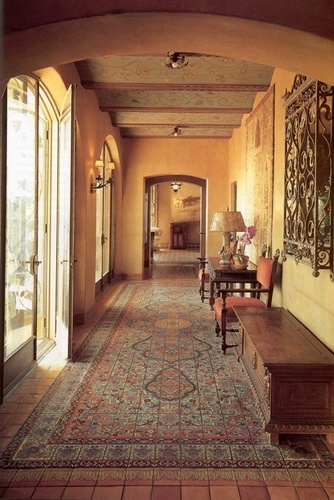 The Spanish Colonial Revival style home—today a National Historic Site, California Historical Landmark, and a California State Park—casts a magical spell, allowing visitors to evoke old California in a way few places can. 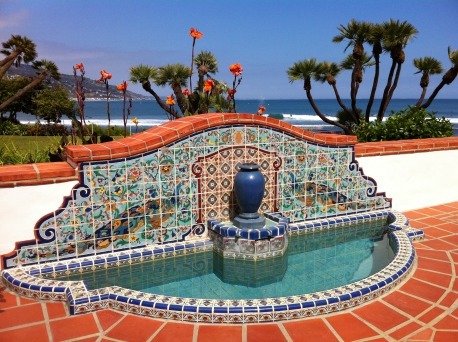 Built in 1929, it occupies one of the most idyllic oceanfront spots in all of Southern California. Situated near the Malibu Pier between popular Surfrider Beach and the Malibu Lagoon, the house boasts an exotic mix of Spanish and Moorish influences with dazzling displays of decorative tiles and one-of-a-kind craftsmanship including hand-carved doors, hand-painted frescoes, molded ceilings, distinctive cast ironwork and lead-framed bottle glass windows. Equally compelling is the story of the close-knit family who once lived here and whose aura continues to permeate the interior, where most of their original furnishings remain.